AD1 is a mineral based adhesive with excellent bond strength specially designed for general use remaining highly vapour open. Silic8 adhesives are the only known adhesive on the market to be independently tested for vapour diffusion to reassure you that water vapour is not trapped in the fabric of your building. Our adhesives are also tested as non combustible. Coverage: On an even surface troweled with a toothed trowel 1200g will cover approximately 1m² Allow more for uneven surfaces. Use: Stir well before use. Always test for bond strength on your specific substrates prior. Best used in combination with PS1 for optimum bond strength, in particular where the surface is powdery or friable, work the primer in to the affected areas with a brush and test for bond strength after 24 hours. Ensure that surrounding surfaces are protected, particularly glass. Wash splashes, tools and brushes with water. Do not store or use in extremes of temperatures (<5 or above 30C). If splashed on the skin wash off immediately with water. Wear the appropriate Personal Protective Equipment; Refer to the Safety Data Sheet before use. The primer can be plastered after 24 hours. Ensure that the plaster is appropriate to the task. 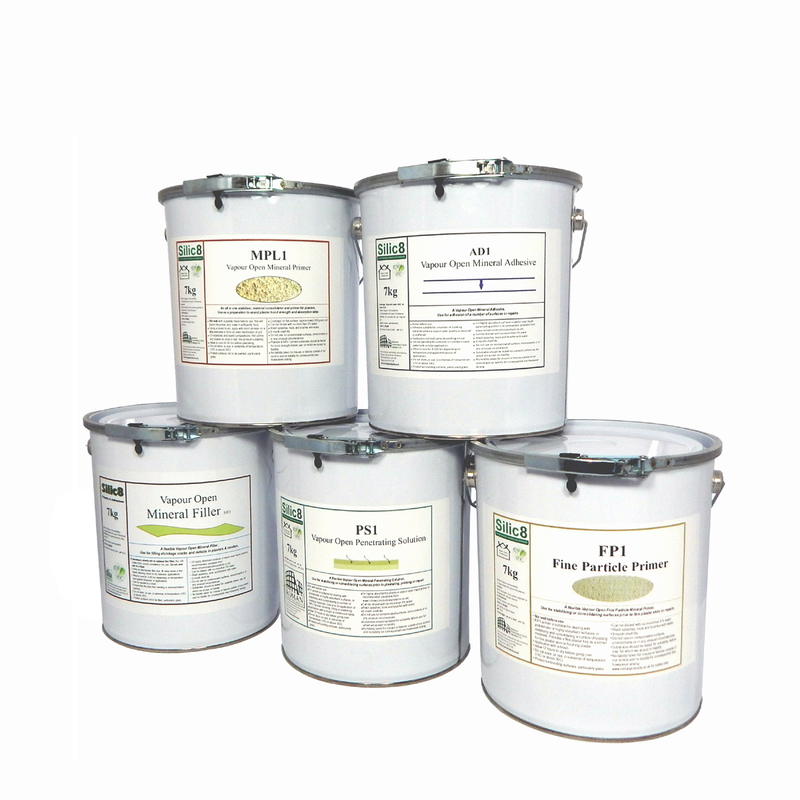 * We do not take responsibility for compatibility with any of the suggested or unlisted substrates types. Silic8 Mineral Adhesive (AD1) is a non-combustible mineral based adhesive with excellent bond strength on a wide range of substrates whilst still remaining vapour open. AD1 can also be used as a base coat or seal. AD1 is independently tested for combustibility and vapour diffusion to reassure you that water vapour is not trapped in the fabric of your building.